Ruth Williams Hennessy uses this unique confluence of training, pedagogy, and performance experience to create a straightforward, holistic approach to voice. Her teaching is informed by her understanding of voice science, the physicality of singing with the whole body, decades of experience teaching voice, and her own performing experience. Her Hennessy Breath & BodyWorkShops© and master classes have been seen at major universities and organizations around the world, including the Voice Foundation Care of the Professional Voice Annual Symposium, the National Association of Teachers of Singing (NATS) convention, and the Classical Singer convention. Ms. Hennessy’s instructional DVD, Voice at the Center, is “highly recommended” by NATS. Most noted for her performances of Madama Butterfly, other significant roles include the title role of Tosca, Mimi (La bohéme), Countess (Le nozze di Figaro), Giorgetta (Il tabarro), and Jaroslavna (Prince Igor). Ms. Hennessy is also an accomplished recital singer, known for her thoughtful interpretations of neglected works, especially in Russian, Czech, and Portuguese. Orchestral concert highlights include the Magna Peccatrix (Soprano 1) in Mahler’s Symphony No. 8, with Margaret Hillis conducting. In performance, Ms. Hennessy is often praised for her vocal color and dramatic depth. Ms. Hennessy maintains a New York City voice studio for educating and developing professional singers, with an emphasis on rehabilitating vocal dysfunction. Her voice and bodywork students are seen in performances around the world, from the Metropolitan Opera and La Scala to musical theater on Broadway. Previous teaching positions include the Brooklyn Conservatory of Music (Director, Professional Division); Hunter College; the University of Northern Iowa (Chair, Vocal/Choral department); and New York University. Earning both Bachelor and Master degrees in Voice Performance from Indiana University, Ms. Hennessy has long been fascinated by the connection between the body and performance. Early in her studies, her instinctive understanding of the crucial role of the body in vocal production was reinforced by her years of study with Metropolitan Opera singer and master teacher Margaret Harshaw, who emphasized learning to sing not by the sound you hear in your head, but rather by the physical sensations you feel in your body. Other teachers and mentors include vocal therapist Joan Lader, who deepened Ruth’s understanding of the physiology of the voice and the principles of healthy vocal production, including healthy belting; Cathy Thompson, who personally trained Ruth in the groundbreaking Thompson MethodTM of body release, alignment, and strengthening; and Karen Coe’s Body Re-Education techniques. In addition to many varieties of bodywork and muscle release techniques, Ms. Hennessy has extensively studied kinesiology, anatomy, and physiology. 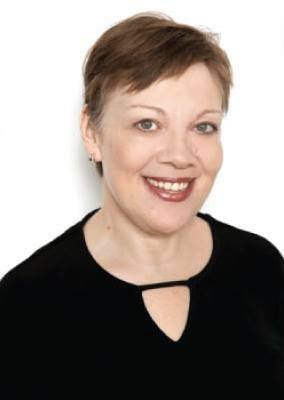 Other disciplines informing Ms. Hennessy’s work include resistance band and ball work; The Alexander Technique; Pilates; yoga; Laban/Bartenieff; Linklater (Warren); breathing techniques, including Stough Breathwork; shiatsu and other massage techniques; tai chi; qigong; resistance stretching; myo-fascial release; physiology and anatomy; visualization; meditation; performance enhancement techniques; energy techniques, and the learning process.